The British government said on Thursday Unilever had decided to locate its new single headquarters operation to Rotterdam because of long-term strategic restructuring not because of Brexit. The Anglo-Dutch healthcare-to-foods concern confirmed the long-awaited decision to move to Rotterdam in a statement on Thursday. The British government downplayed the shift in a short statement on Twitter. ‘As the company has made clear, the decision to move a small group of people to a corporate HQ in the Netherlands … is not connected to the EU’s departure from the EU,’ the statement said. And Unilever chief financial officer, Graeme Pitkethly, told the Guardian Brexit ‘was absolutely not a factor’ in the decision, which was announced after a board meeting and a year-long review. 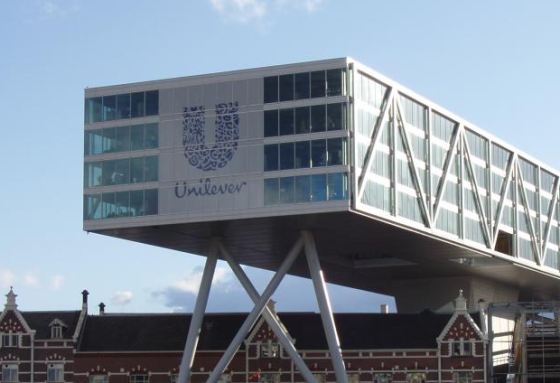 Unilever has maintained separate headquarters in Rotterdam and London since it was founded in 1930 but has always operated as a single business with a single board of directors. The British government had been lobbying hard to keep Unilever in London as ‘proof’ to others that Britain remained a good place for corporate investment. But after a failed takeover attempt by US rival Kraft Heinz last year, Unilever took a closer look at the Rotterdam option because Dutch corporate laws allow companies to adopt ‘poison pill’ anti-takeover defences. Unilever has been trimming its sails since the Kraft Heinz bid, selling its spreads and margarine division to investment group KKR in December. At the same time it was decided that the dual headquarters structure was too expensive. Unilever will maintain a large presence in Britain, with 7,300 of its 170,000 employees located there, against just over 3,000 in the Netherlands. R&D units are located in both countries. And the vital Beauty & Personal Care and Home Care divisions will continue to be operated from London, Unilever said. Unilever will continue to be listed on the London, Amsterdam and New York stock exchanges.